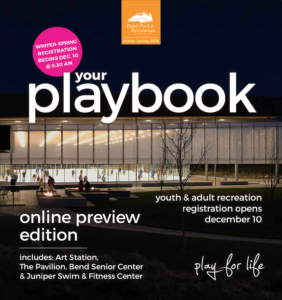 The Bend Park & Recreation Foundation is an independent 501 (c) 3 non-profit organization which exists to raise funds and support the programs, projects and facilities of the Bend Park & Recreation District. Incorporated in 1977, the Foundation has a long and successful history of providing stewardship for donations and supporting recreation opportunities for the community. In 1920, May Arnold, a local citizen, led a grassroots effort to convince the city fathers to create Drake Park. Because of her determination and commitment to her community, Drake Park will forever be the signature of downtown Bend. Like Arnold, the Bend Park & Recreation Foundation believes that parks, trails, open spaces and community recreation opportunities are priceless community treasures that should be accessible for everyone. To preserve Bend’s livability by enhancing our community’s parks, trails and recreation programs, providing access and opportunity for all. Preserved the Hollinshead property as a historic landmark and community park. Facilitated the donation of Tillicum Ranch to Bend Park & Recreation District. Funded the original skateboard area at Ponderosa Park. Purchased and restored the historic Bend Amateur Athletic Club (Old Bend Gym). 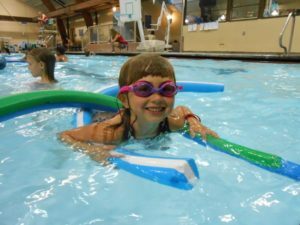 Now owned by Bend Park & Recreation District, the facility is currently rented to The Boys and Girls Clubs of Bend for $1/year. Raised funds to acquire land next to Shelvin Park to serve as buffer with future development. Funded and built two covered shelters and a playground at Big Sky Sports Park. 70% of the construction cost was donated by the community. Raised funds to support development of the Deschutes River Trail. Generated over $533,000 in community support to fund construction of Farewell Bend Park. Fiscal sponsor for the Bend Heroes Memorial Plaza at Brooks Park, a memorial plaza established as place to honor local veterans and first responders. Fiscal sponsor for the development of the pickleball courts at Pine Nursery Park, in association with the Bend Pickleball Club. Hosted the Gopher Broke Scramble Golf Tournament from 2003 to 2016, a successful event that raised more than $150,000 in its history, providing support to recreation scholarships and free community recreation programs. Recreation Scholarship Fund – supporting recreation opportunities for people in our community. Opdycke Scholarship Fund – supporting recreation opportunities for people with disabilities. Bend Senior Center Fund – supporting the facility and recreation programs for older adults. Riverway/ Deschutes River Trail Fund – supporting projects enhancing the Deschutes River Trail. Shevlin Park Conservation Fund – supporting efforts for preservation and stewardship of Bend’s treasured park. 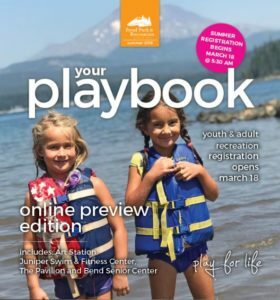 Luke Damon Youth Sports Endowment Fund (with Oregon Community Foundation) – providing long term funding for children to participate in youth sports programs. Access for All Fund Endowment Fund (with Oregon Community Foundation) – providing long term funding to help reduce financials barriers for children, families and adults to participate in Bend Park & Recreation District programs. Heroes are not giant statues framed against a red sky. They are people who say: This is my community, and it’s my responsibility to make it better.